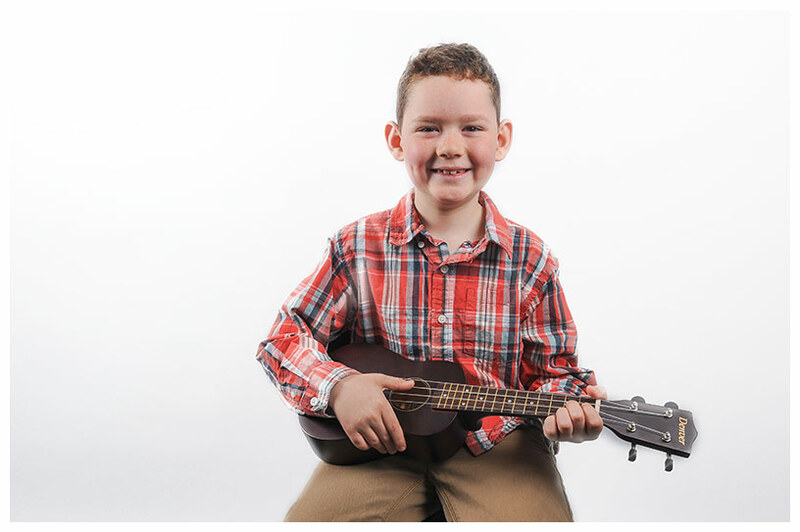 The Academy of Music offers ukulele lessons for children as young as 4 to adults of all ages! Our ukulele lessons are great for all ages. Whether you want to play folk music, Beatles, or Jason Mraz, our professional teachers will guide you through the skills of reading music, improvisation, playing by ear, music theory, and performing. 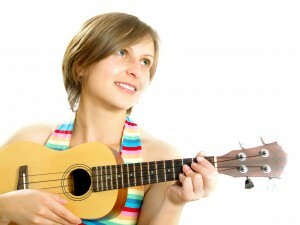 Beginner ukulele students can expect to work on strumming chords, single note melodies, simple songs, and music theory. All ukulele students are encouraged to bring CD’s or their iPod to the lessons to learn their favorite tunes. We recommend ukulele lessons for ages 4 and up. Ukulele is one of the best instruments for children to start on. 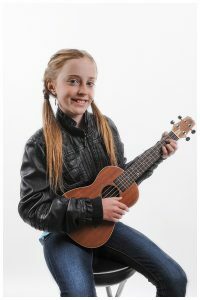 Many young ukulele students switch to the guitar when they are older. If you have a 4 – 5 year-old child who wants to learn the guitar, we would recommend starting with ukulele lessons first. The ukulele and guitar are played the same way, but are simply tuned differently. The smaller size if the ukulele makes it easier on little hands, and makes the transition smoother if they choose to switch to guitar. As an adult student, your teacher will help you learn your favorite songs, while at the same time gaining skills in sight reading, ear training, improvisation, and music theory. If you are an adult ukulele student, you will master the mechanics of the ukulele while playing the music you love. If you are a senior and are looking for music lessons as a fun challenge, you’ve come to the right place! Ukulele lessons are a great way to keep you busy, learning, growing, and stimulating the brain. What types of ukulele do you teach? We offer lessons in soprano ukulele, tenor ukulele, and baritone ukulele. Call now to arrange your first ukulele lesson!